Located on 22 acres along the San Antonio River, the Pearl Brewery is deeply connected with San Antonio history. Established in 1881 as the City Brewery, the original brew house was strategically located north of downtown, offering access to water for brewing and later including a group of support buildings and stables. 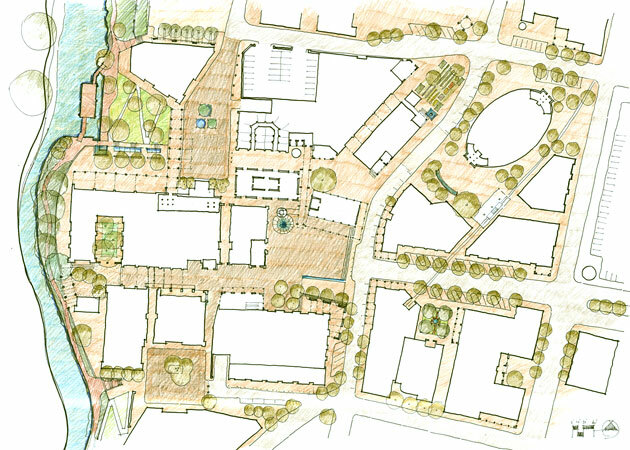 In recognition of this rich history, the open space plan envisioned reusing the existing structures as the core of a new creative community, reinvigorating the entire site and connecting it with the River Walk extension. Moule & Polyzoides’ role included working with other team members to build upon earlier planning studies, creating a vision for the next phase of the project. 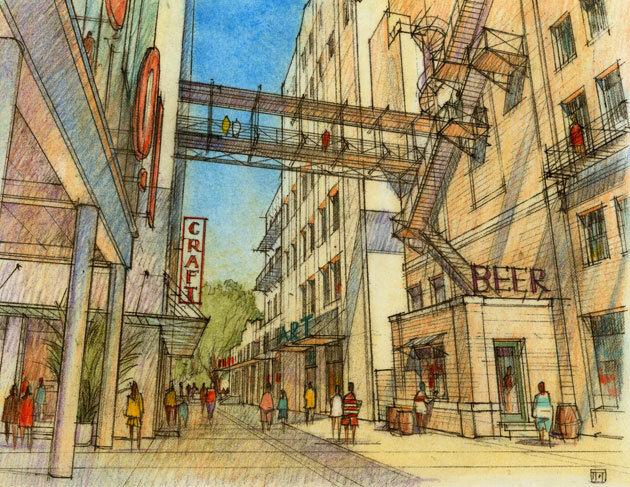 This addresses new and renewed buildings, plazas, facades, and improved connections between the Brewery’s existing structures, yielding a total of 1.2m square feet. 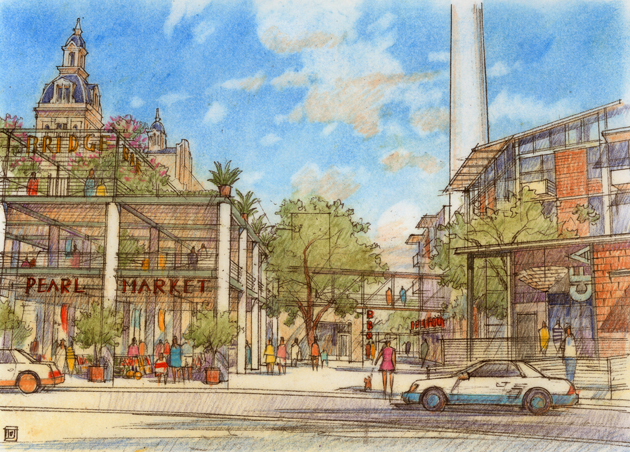 The project will include restaurants, residences, studios, shops, educational facilities, offices and public spaces. This project extends Moule & Polyzoides’ earlier work on the award-winning River North plan.